Don’t have an SSL Certificate? Google is going to flag your website as unsecure! Currently, over two-thirds of websites are unencrypted. This update fundamentally changes the way web users will think about their online security. Without an up-to-date, validated SSL certificate, you will damage your ranking in Google search results. and may put your whole business and brand reputation at risk. Currently there are a multitude off SSL offerings available to website owners looking to secure their sites. From monthly to annual fees, they range in price from a few euro a month up to over 100 euro a year. 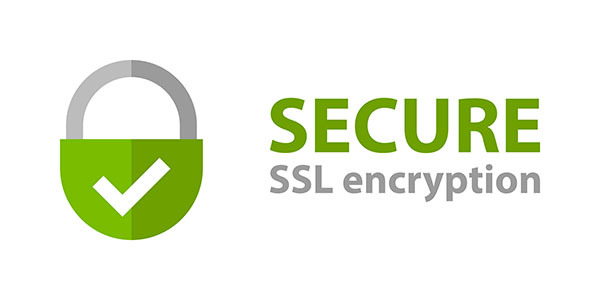 At Go2web we can create and install your SSL Cert for a one off fee of 95 euro, that’s it! No recurring monthly or annual costs. HTTPs gives a stronger ranking on Google. You will create safer experiences for your customers. You will build customer trust and improve conversions over time. You will protect both sensitive customer and internal data. You will encrypt browser-to-server and server-to-server communication. You will increase the security of your mobile and cloud apps. You will protect against phishing.